RRB ALP Technician 01/2018 Online Form – Apply Online for Railway Loco Pilot & Technician at www.rly-rect-appn.in: Railway ASM/ Goods Guard Online Application. 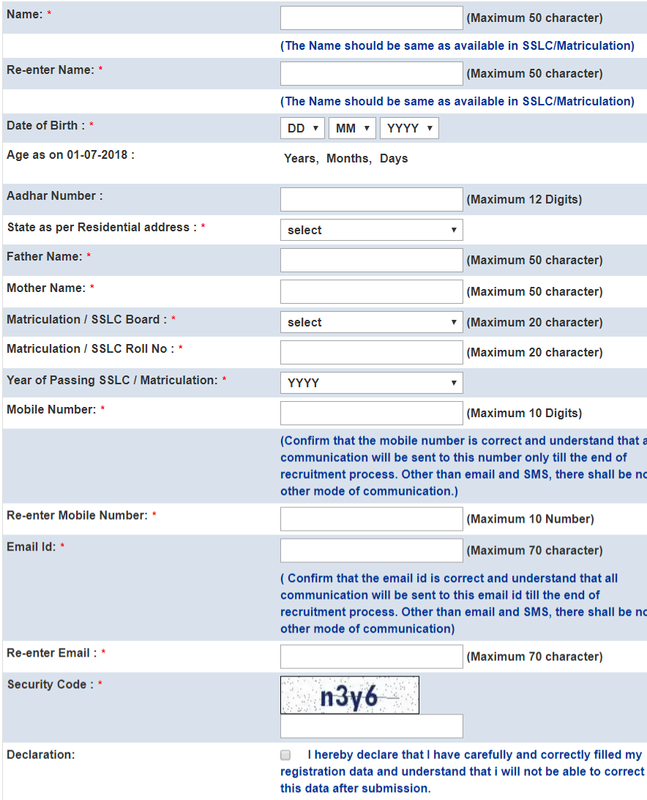 Are you Looking for RRB Online Application form? Railway Recruitment Boards (RRB), Government of India, Ministry of Railways have invited online application for Railway ALP Technician recruitment for filling up 26,502 Assistant Loco Pilot (ALP)/ Driver and Technician posts through Central Employment Notice (CEN) Notice No. 01/2018 vacancies under Railway Recruitment 2018. Candidates willing to apply for any Railway Recruitment Boards (RRB) including Railway Ahmedabad Board, RRB Ajmer, RRB Allahabad, RRB Banglore, RRB Bhopal, RRB Bhubaneswar, RRB Bilaspur, RRB Chandigarh, RRB Chennai, RRB Gorakhpur, RRB Guwahati, RRB J&K, RRB Kolkata, RRB Malda, RRB Mumbai, RRB Muzaffarpur, RRB Patna, RRB Ranchi, RRB Secunderabad, RRB Siliguri and RRB Thiruvananthapuram for Assistant Loco Pilot post against RRB Notice No. 01/2018. Follow the instructions below to apply online for Railway ALP Technician recruitment. Indian Railway has started appointment of above vacant posts in various Railway Zone under Railway Recruitment Boards (RRBs). Eligible and interested candidates can apply only through online mode from 04-02-2018 to 05-03-2018. Follow the instructions we have explained below which teaches you how to apply online for RRB Recruitment 2018. RRB ALP Technician Online Form Click here. Railway Online Application Form: All those candidates who wish to apply for Assistant Loco Pilot (ALP) and Technician posts in Indian Railway through Railway Recruitment Board (RRB), they are required to fill online application form on its official website at http://www.rly-rect-appn.in. Follow the below link for post wise application form. 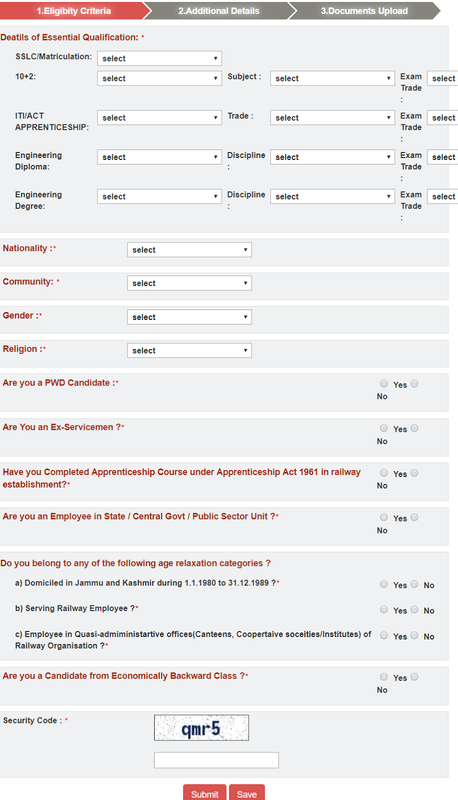 How to Apply Online: In order to apply online for RRB ALP Technician Recruitment, candidates are required to apply only through online mode like other competitive examination. We have come up with each and every detail about RRB Online application form and how to apply online for Railway ALP Technician Vacancy. Step 8: After successful payment, Click on the “Fill additional details” and complete the remaining application form by filling up additional details and Photo(s)/Document(s) Upload. Before uploading photo with name & date printed on it, be sure that the scanned photo is as per the sample photos by clicking the same available below the browse button. Step 9: Final Submit. Before clicking on “Final submit”, review all the details filled and be sure that all are correct. Candidates are advised to read instructions carefully and then Apply Online for RRB CEN 01/2018 Railway ALP Technician Posts 2018.